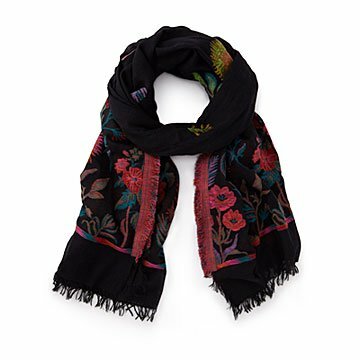 Straight from the runways of Wonderland, this soft cotton scarf blooms with dreamy florals. Straight from the runways of Wonderland, this soft cotton scarf blooms with dreamy florals. With plenty of color to kick any outfit up a notch, it's just the right accessory to wear to tea parties and croquet with the queen alike. Hand-loomed by women artisans in India.